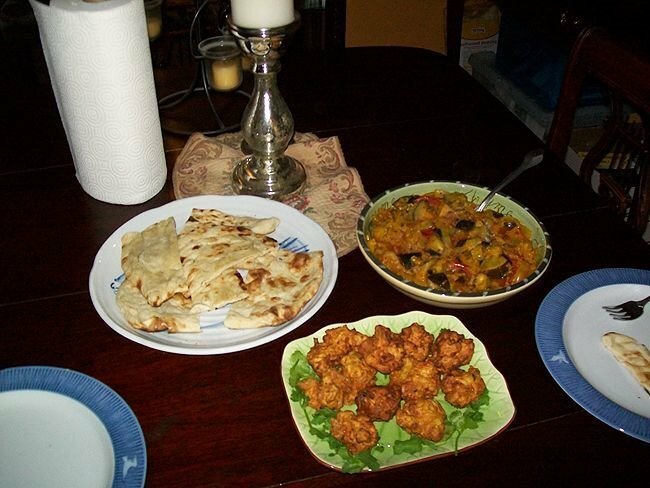 crevette, crevettes Pakoras and aubergine curry, au curry. One of the dinners I cooked recently. Wallpaper and background images in the Indian nourriture club tagged: shrimp curry eggplant indian food pakoras. This Indian nourriture photo contains dinde, dîner de dinde, dîner de turquie, dîner de vacances, repas de fête, and dîner. There might also be antipasto, bœuf stroganoff, boeuf stroganoff, hors-d'œuvre, and hors d’oeuvre.